Three different concertos with three different soloists in a single concert is not something you experience every day - usually a single soloist embedded in a concert of other things is enough for those who relish the prospect of a single artist battling against the massed forces of a symphony orchestra. Such a congregation of concertos doesn’t happen very often, and when it does it signifies something very special. 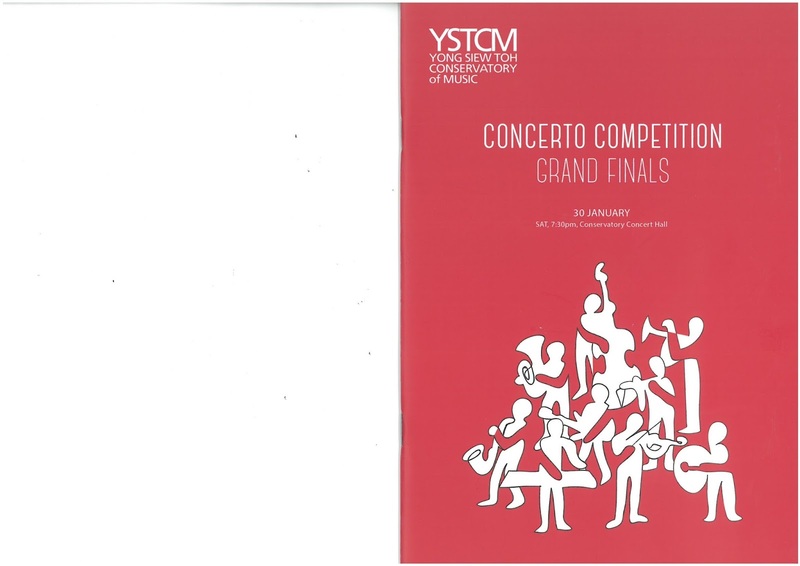 In this case, it was billed as the “Grand Finals” of the Concerto Competition held at the Yong Siew Toh Conservatory in Singapore. 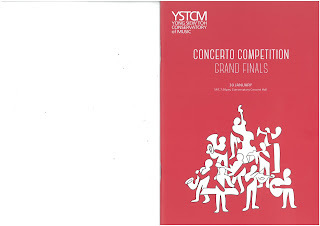 To have passed through the rigours of the preliminary rounds and heats, given the extraordinary amount of solo talent amongst conservatory students, was no mean achievement, and it was well said that, simply being on stage and performing in the Grand Final was indication in itself of all three soloists being a winner. The rules of competitions are such that an adjudicator is obliged to select a winner, and one was duly selected, but so far as the audience was concerned, the simple pleasure of hearing and seeing so much incredible musical talent was what the evening was all about. And, as many said to me before the concert, the programme itself was enticing enough to draw in people for whom the idea of a musical completion is anathema (and my next blog post will look a little into that phenomenon). The three works were from three composers who were contemporaries of each other, yet whose music is stylistically poles apart. I was profoundly impressed by how all three of the soloists had thoroughly immersed themselves in the stylistic world of these composers and come out with performances which were convincingly idiomatic. 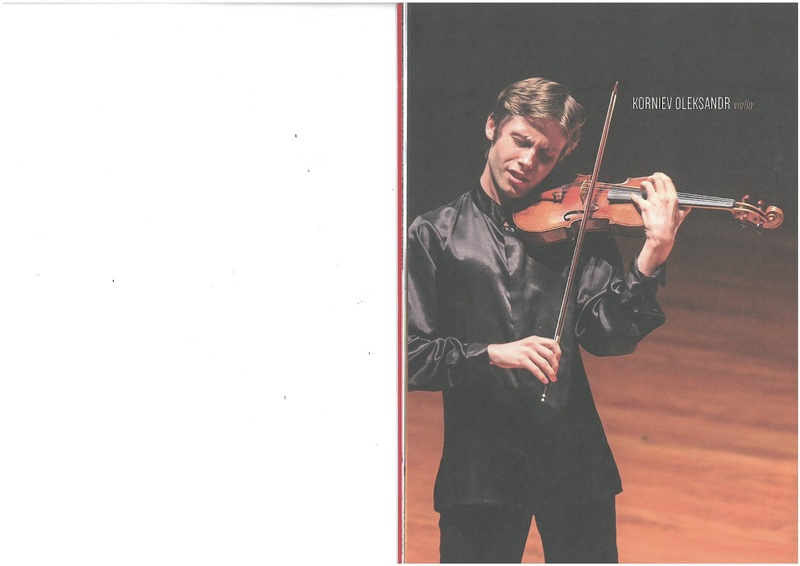 The most compelling performance, from an interpretative point of view, was that of the Ukrainian violinist Korniev Oleksandr who produced an account of the Sibelius Concerto of rare perceptiveness. He showed an innate understanding of the work and of the composer’s unique idiom, but more than that he seemed to reveal a level of insight which few, even at the very height of their professional careers, ever achieve. It had that icy bleakness which characterises so much of the music, and, through tiny, subtle touches, revealed a performer for whom the concerto was not so much a vehicle to express his – unquestionably magnificent – technique, but to reveal his deep musical personality. There was a sense that he associated himself with the very essence of the work; which may, to an extent, have counted against him in that, with a performance so polished and accomplished, one felt that he had nothing more to say. It was an inspired choice that Singaporean pianist Mervyn Lee made in electing to play Shostakovich’s Second Piano Concerto. This was a concerto written for a 19-year-old, and its youthful vigour and high spirits were so fully attuned with Lee’s own 17-year-old psyche, that, as with Oleksandr and Sibelius, it seemed to fit him like a glove. Lee also made the most impressive visual display on stage. By wearing a scarlet Chinese tunic he at once showed himself as a performer willing to stand out from the crowd (which is what any concerto soloist must do). 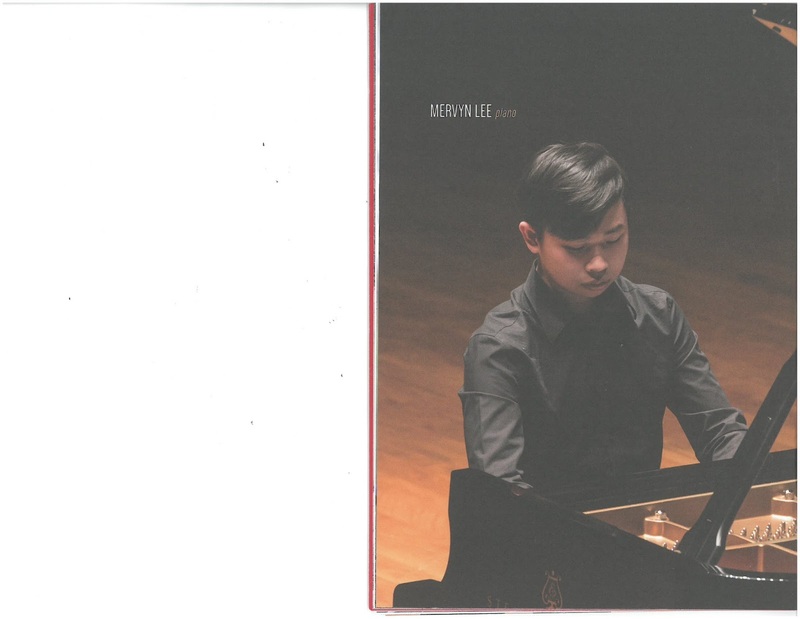 This was certainly a dazzling display of pianistic virtuosity, but more than that, it was an exciting and thrilling delivery of a work which clearly suited the teenage Lee’s entire approach. His interaction with the orchestra as well as his profound understanding of the work’s character, shone through every bar. Which, again, may have counted a little against him. When a young soloist shows such empathy with a work written for a young soloist, there is a slight question hanging over those who hear it; would he do as well in the more mature repertory? 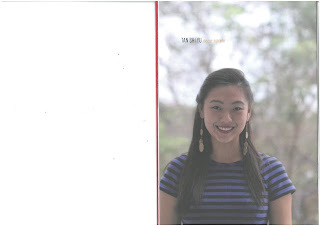 Singaporean mezzo-soprano Jade Tan Shi Yu faced an uphill struggle from the outset. There is very limited repertory available for a mezzo-soprano to present in a concerto setting, and in selecting Elgar’s Sea Pictures she was not only moving into musical (and literary) territory to which I suspect she is not instinctively drawn, but she was performing something originally written for the contralto. This was voice much more popular (and common) in Elgar’s time than it is today. (I wonder whether the social stigma given to smoking may not have something to do with this; the few true contraltos I have ever known have all smoked like chimneys; as have the true basses I’ve worked with – that’s another voice which has fallen out of fashion.) As a result, Tan’s voice lacked the resonance in the lower register which would have afforded her the range of expression and colour Elgar sought. Yet in compensating for that, she showed a spectacular grasp of the idiom and a hugely intelligent approach to the music which was based more on a consciously artistic approach than an innate empathy with the music itself. Like the Engineering Professor seated beside me in the concert hall last evening, I find it impossible to hear Sea Pictures without recalling the magical voice of Janet Baker. Yet Tan revisited the work afresh, put her own take on it, and as such delivered what was, certainly in the adjudicator’s view, the most rewarding performance of the evening, even if it was neither the most perceptive or the most dazzlingly virtuoso. It’s easy to forget, in the admiration for these three outstanding soloists, that what really made them play so well (apart, that is, form their superlative teachers) was the unfailingly outstanding support from the Conservatory Orchestra which, faced with three quite demanding works, showed a level of professionalism and all-round awareness, which made you forget they were there. There was no hint of strain or struggle about the orchestral playing – it did what it needed to do brilliantly, and added much of real worth to the overall performance. And for that, one cannot over-praise the superlative Jason Lai, who reveals in every concert he conducts, a level of musical insight and integrity which never ceases to astonish. Here, his stylistic perceptiveness was never in doubt, and it was delivered in the calm, unflustered manner by which you just know that he is in total control and that, should anything go amiss, he’ll handle it without breaking into a sweat. He showed himself an innate Elgarian, blending with infinite precision the various orchestral hues Elgar writes in his opulent score (let’s hear Lai do an Enigma Variations or a 1st Symphony – he’ll be more than a match for the Andrew Davis’s of this world, I have no doubt). He showed himself to be a thoroughly idiomatic Shostakovichian, gently prodding the touches of satire and pathos in the Concerto and driving it onwards with that persistent, unflagging momentum which characterises everything Shostakovich wrote (something I trace back to his days accompanying silent movies, where you could not stop once the film had started). And he showed himself an instinctive Sibeliusian, deeply conscious of the sparse harmonic and melodic idiom which calls for an expansive, long-term view which so many other conductors find elusive. It was a concert of winners, certainly, the biggest of whom was the audience who sat entranced and enthralled throughout an absolutely sumptuous musical banquet. We in the audience were indeed winners. It was an excellent evening. All three soloists displayed amazing self-confidence as well as interpretive sensitivity and technical skill. Thank you Dr Marc for this fulsome summary. It's worth noting that Jade Tan will be performing again as early as this Thursday, 4th Feb, when she will be running another of her "Classical Conversations" lecture-recitals. Like so much classical music in Singapore that's slightly out of the mainstream, it has been woefully underpublicised.